Made in Europe ­- why does it mean so much? Customers are more conscious of their choices nowadays. More and more people want to know where their clothes were produced. As a result, they want to make sure that items they purchase don’t necessarily come from manufactures which don’t provide employees any fair work conditions. It’s not as popular yet to make it a worldwide trend; however, it has been noticed that people focus on buying stuff from local producers. Is it about the quality of offered goods? Or maybe it’s more about supporting local services? 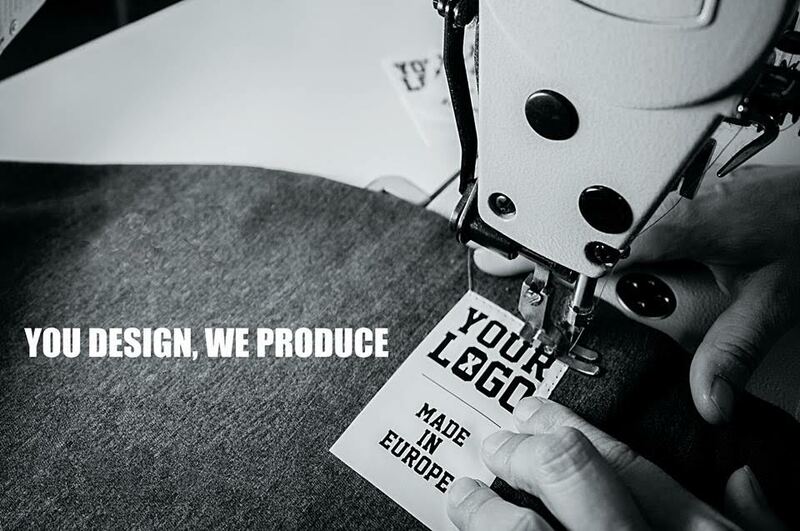 Today, we’d like to focus on explaining what “Made in Europe” label actually means for us. First of all, let’s talk about this well-known topic related to work conditions. It’s important to note that the European Union introduced some standards that have to be considered at work places in different European countries. If there’s a hypothetical company that doesn’t treat its employees as they should be treated… well, you can’t do such a thing in Europe on the legal level. You have to meet given rules in order to actually run a company. It means that workers have various rights and employers have to be aware of them while hiring new people. Secondly, making the quality of products as highest as possible is important as well. European manufactures have to give their clients the best quality in order to get their attention. It’s not about giving the customers a bad quality product that will have to be replaced in some amount of time. It’s actually otherwise, it’s all about making a certain product that will be as good as possible. Of course, let’s be realistic. There are certainly some made-in-Europe stuff with not so good quality. But hey, there are obviously some good quality products made in China as well. Personally, we haven’t seen any bad products that comes from Europe, so such a thing is not really on the agenda. Thirdly, when you focus on buying goods from local companies, you instantly support the local market.Imagine a man who once decided that he wants to run a small manufacture on his own. It wasn’t even being called the “manufacture” then. It was more of a home-workshop or so. He started to make his very own products. Let it be clothes, hats, or even dog toys. The most important thing is that he had an idea and he wanted to be successful at this, because he knew it had a potential. However, his products couldn’t compete with this well-known brand names. As a result, his products weren’t so popular. But what if local people would fully support his work? They would buy his goods and it would be a very nice exchange. Customers would get a long-lasting good quality product and he would still be able to run his small workshop. And finally, efficiency still may go together with the good quality products. Manufactures that are placed in Europe can provide their clients a fast shipping service without wasting much time in order to get the package. On the other hand, some companies, such as CustomTop, can offer its clients a full service which is producing clothes from scratch to ready-to-sell products. What does it mean? Well, brands or even individual clients can focus on marketing activities, desiging new collections, or even taking some time off, while the manufacture is taking care of an actual product. Whether you, as a customer or as a company, want to make better choices when it comes to fair trade or quality, try to focus on goods with “Made in Europe” label. It’s all about being aware of different aspects of human’s life. And one of them is making sure that a product you buy or sell is the best option that you or your customer can get. Remember that when you want to make a bigger impact on a given market, it’s always good to think ahead. All of our products are made entirely in Poland. 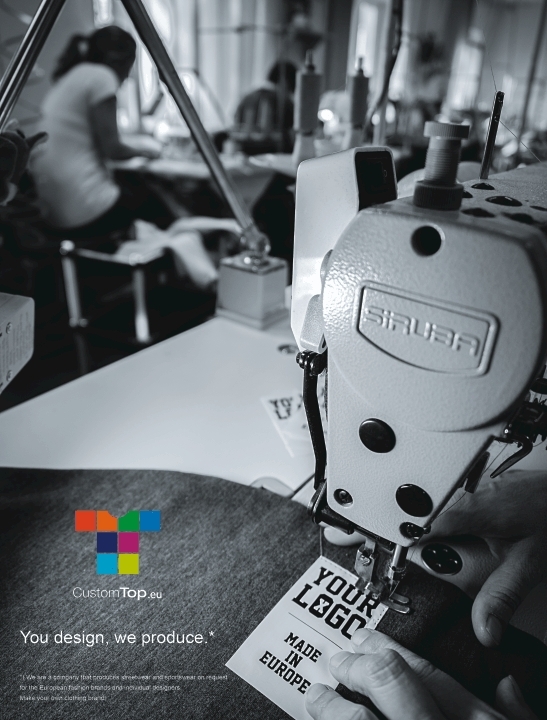 CustomTop was created to show that Europe can produce high quality clothes while giving its employees, and so customers, appropriate working conditions. This is our minimum for placing an order. It makes it easier for new brands or even individual people, who decide to try creating their very own collection, to enter the market. Our customers can devote more time on design, distribution, and marketing since the process of production and preparation of garments for the sale are on our side. Thanks to our location and long-term cooperation with UPS service, we provide supply of goods in up to 3 working days without any additional custom costs, in the EU. 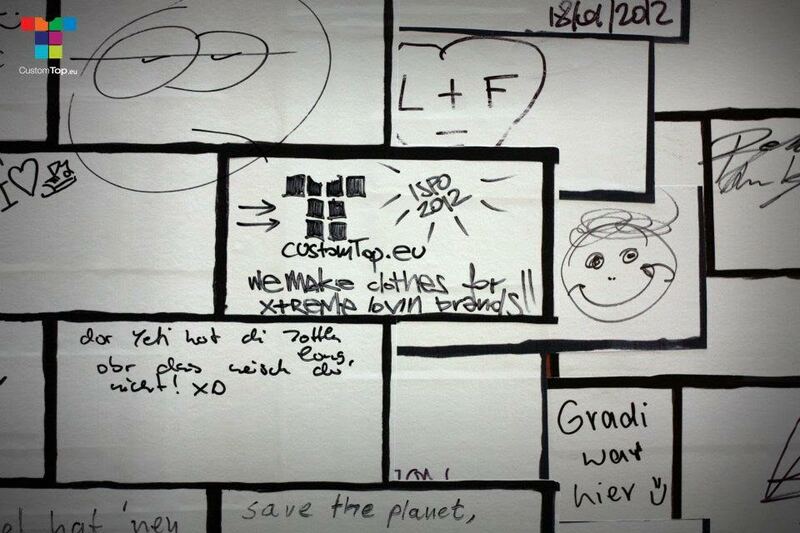 We not only promote “Made in Europe” enterprises, we also care about our environment. This is why our manufacture is certified to OEKO-TEX® Standard 100. It means that things we produce are free from any harmful substances which have a negative impact on the environment. Our employees receive fair wages. 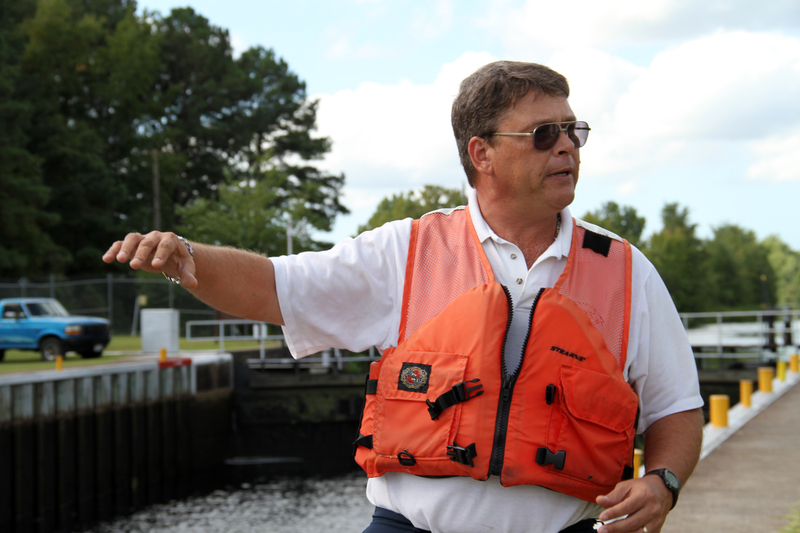 We value people who work with us – they are the ones that determine the quality of our services. For our productions, we use only products with the highest quality. This is something that make us recognizable. 100% of our customers gave us positive feedback regarding the quality of offered goods. Our team helps clients in creating their own vision and, thanks to certain tools, in making their brand distinguishable. When you contact us, we approach each of you individually to make sure we understand your needs. For over 15 years we are to-date with trends. We offer more than 50 different cuts in line with current global fashion directions. And what is your opinion? Why did you choose CustomTop in the first place? Or why not? Is there anything we should change? Let us know, we respect your feedback. Since 1933, the tennis shirt was so popular, that it has become one of the standard categories of clothing. 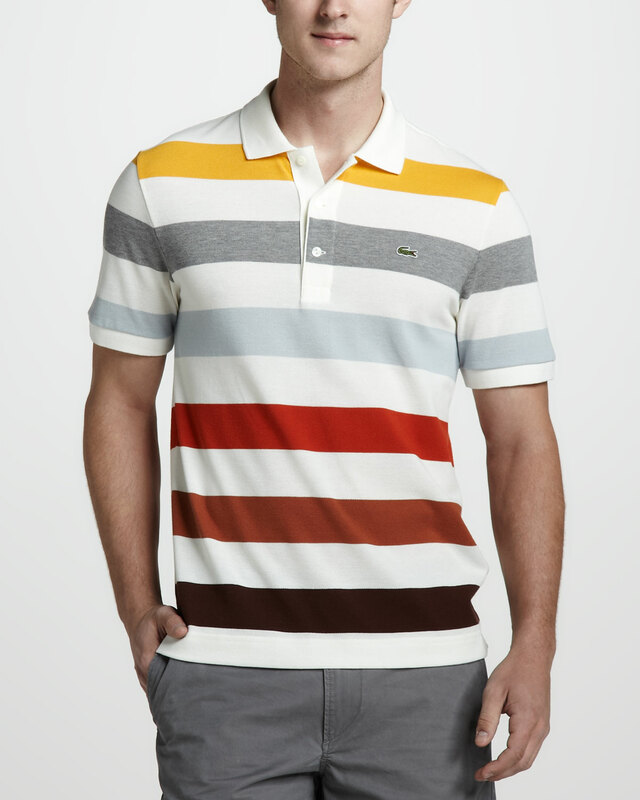 Virtually every major clothier makes some version or variation of Lacoste’s tennis shirt. Today it is worn by both men and women in numerous non-athletic contexts. In contemporary Western fashion, tennis shirts are considered more casual than woven button-front shirts while still being slightly dressy. It is also a favored shirt for those working outside, such as groundskeepers and maintenance workers, due to its ruggedness and style. During the 1990s tennis shirt became the standard informal business attire for the high-tech industry and then spread to other industries. Nowadays Polo shirt is often used in retail industry as staff outfit, because it’s less casual than suit, shirt and tie, but more elegant than a regular T-shirt. In the early 1980s (and also revived briefly in 1997) polo shirts became popular among young professionals in the Nordic countries. This was especially the case in Helsinki, Finland, where blue chip professionals would wear Fred Perry polo shirts in a range of pastels, such as pink and yellow. Over the years the golf shirt has become a favorite giveaway at many corporate events, and is a fashion style that may be worn with jeans, shorts, slacks and gym shorts. Embroidered Golf Shirts have become the single most popular embroidered product for corporate events. What exactly is that famous “T”? T-shirt is a style of fabric shirt, named after the letter “T” shape of the body and sleeves. It is normally associated with short sleeves, a round neck line known as a “crew neck”, and no collar. If we want to make a T-shirt we need to cut out the folowing parts: front, back, two sleeves and crew neck – which is a shape of stripe. Sewing two parts together is being done with an overlock sewing machine. Usually an overlock sewing machine will cut the edges of the cloth as they are fed through, though some are made without cutters. Most overlock machines are 3-threaded but good garment manufacturers are using a 4-thread overlock machine which gives an extra strenght while retaining flexibility. After that we are going to use the 2-needle lockstitch machine for edges finishing. Usually it’s folding by 2cm and then sewing by lockstitch machine. All labels are sewed in with the 1-needle lockstitch macine. Some garment manufacturers are putting an extra tape on the neck which absorbs sweat. This is being done with the special double looper tape binding machine. 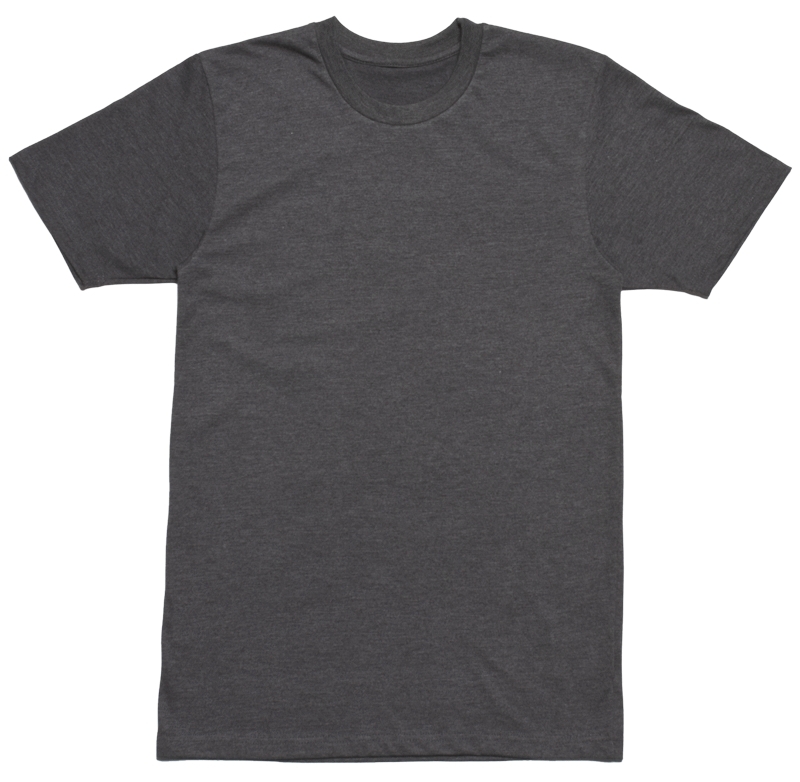 Some T-shirts instead of crew neck standard ribb finishing have piping finishing – a type of trim consisting of a strip of folded fabric inserted into seam to define the edge. Piping is being done with the special binding machine. So we can make a T-shirt with just two sewing machines but if we want to have some more we use 3 to 5 different sewing machines. Terry cloth is a fabric with loops that can absorb large amounts of water. It can be manufactured in two different ways: by weaving or knitting. Terry cloth is woven on special looms that have two beams of longitudinal warp through which the filler or weft is fired laterally.The first industrial production of terry cloth towels was by the English manufacturer Christy. 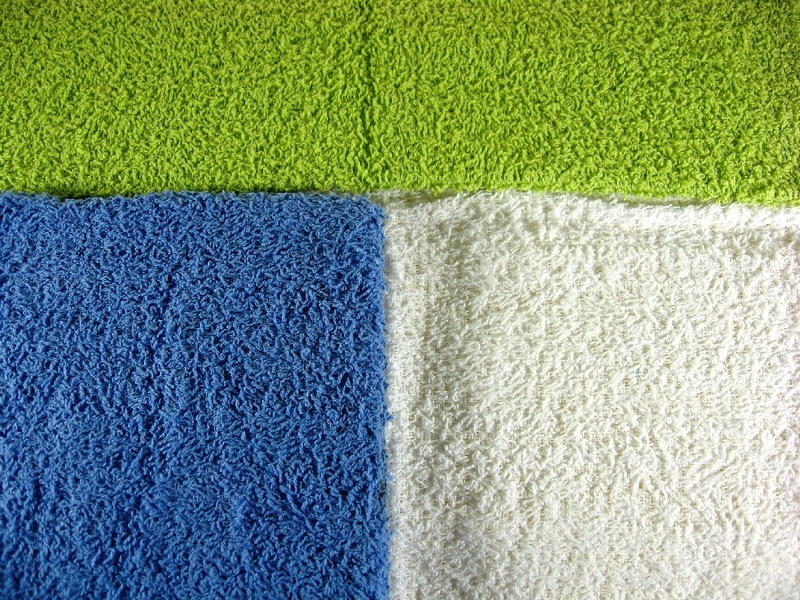 Towel Terry is a woven fabric with long loops that can absorb large amounts of water. Its content is usually 100% cotton, but may sometimes contain polyester. French Terry is a fabric, used in men’s, women’s and children’s clothes. 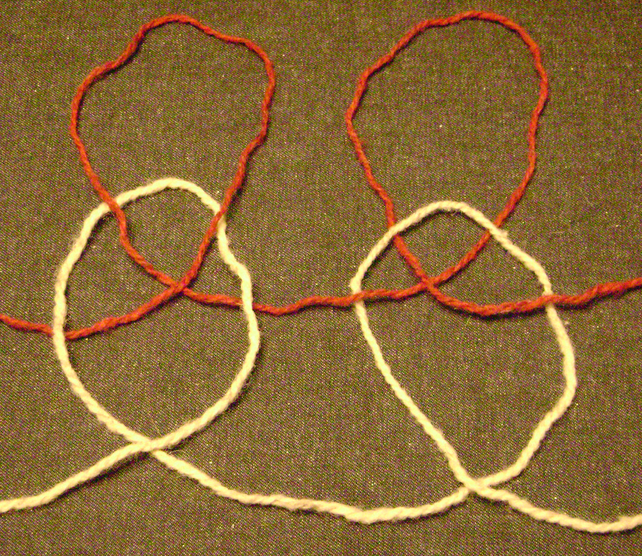 One of its sides is flat, while the other side has cross loops. It is either 100% cotton or contains polyester or elastine like lycra. It is often warp knitted, and the term French Terry is colloquially used for all warp knitted Terry. It is the length of loops that determines how much fluid is absorbed by the cloth as longer loops provide more surface area to absorb and come in contact with the fluid. Items that may be made from terry cloth include babies’ diapers, towels, bathrobes, bedlinen, and sweatbands for the wrist or head. Terrycloth is also sometimes used to make sweat jackets. Terry towelling hats with a shallow brim were once popular with cricketers (like English wicketkeeper Jack Russell) but are no longer in fashion. Jersey is a knit fabric mostly used for clothing manufacture. It was originally made of wool, but is now made of wool, cotton, and synthetic fibres like Polyester, Elastan or Viscouse. Since medieval times Jersey, Channel Islands, where the material was first produced, had been an important exporter of knitted good and the fabric in wool from Jersey became well known. The fabric can be a very stretchy single knitting, usually light-weight, jersey with one flat side and one piled side. When made with a lightweight yarn, this is the fabric most often used to make T-shirts. It can also be a double knitted jersey (interlock jersey), with less stretch, that creates a heavier fabric of two single jerseys knitted together to leave the two flat sides on the outsides of the fabric, with the piles in the middle. Nevertheless Single Jersey is considered to be the most popular fabric for T-shirt production. Single Jersey fabric can be knitted with different weights: 100, 140, 155, 160, 180, 200, 210 grams per fabric meter and different composition. 100% Cotton Single Jersey is the most popular, but if extra flexibility is needed on the regular basis 4% of Elastan is added to the fabric when knitting. 96% Cotton 4% Elastan Single Jersey fabric is commonly used for women T-shirt production (because of it’s flexibility). A letterman jacket, also known as varsity jacket or college jacket. The term comes from the practice of awarding college sports team participant a “letter” cloth , which is usually the school’s initial or initials. Today, in order to distinguish “lettermen” from other team participants, schools often establish a minimum level of participation in a team’s events or a minimum level of performance in order for a letter to be awarded. A common threshold in American football and basketball is participation in a set level, often half, of all quarters in a season. In individual sports such as tennis and golf, the threshold for lettering is generally participation in one half or sometimes two-thirds of all matches contested. Frequently, other members of the team who fail to meet requirements for a letter are awarded a certificate of participation or other award considered to be of lesser value than a letter. Some schools continue to base the awarding of letters according to performance, in team sports requiring a certain number of scores, steals, baskets or tackles, according to position and sport. In individual sports letters are often determined according to qualification for state meets or tournaments. This term is not gender-specific; a qualifying participant in women’s basketball or other women’s sports is properly referred to as a letterman, as would be a qualifying female participant on a co-educational sports team. As a decorative clothing item, the varsity letter has a huge number of variations and no set standard is made to any school on how it should look. Chenille letters come in many different forms and shapes. Some institutions use Old English or script style, two or three letter monogram, 3D shading, chenille bordered or the traditional straight block style. Students generally receive only one actual letter, but can win the distinction multiple times. These additional designations are shown by adding embroidered sport insignias, modeled metal insert pins, or bars that are attached to the letter. Some schools may embroider non-athletic letters with their award title, such as “Academics” or “Arts”.